Tired of being surrounded by sexist nonsense every day? So are we! 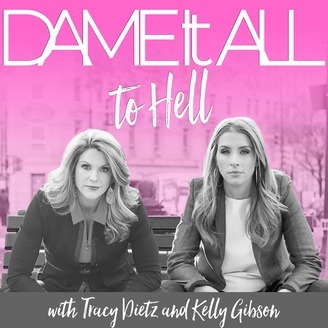 Pour a glass of your fav and listen in as gal pals Tracy (a devoted Republican) & Kelly (a die-hard Democrat) dish about sexism in politics, business, and pop culture in their weekly NSFW podcast. Pick a side but beware, the side you pick may surprise you! Tell us all about it on social: @DameItAll. 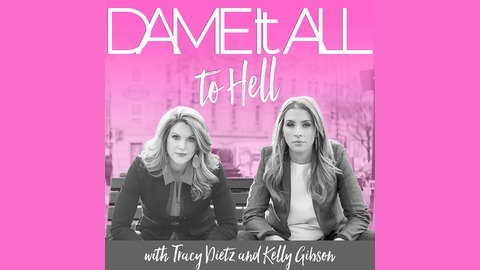 This week, The Dames are joined by Autria Godfrey and Eileen Whelan from Good Morning Washington! Eileen has been a Meteorologist at Good Morning Washington for seven and a half years, while Autria has been a Reporter and Anchor for eight. The Dames and their guests discuss overall appearance on television and how male executives often determine what they should wear and how their hair and makeup should be styled. It leads to a conversation about men's tendency to ask women if they are "old enough" for their job, strictly based on appearance. The four women explore a recent development: two women anchors on the desk of Good Morning Washington and other major news shows. While there has been uncertainty in the news industry about whether two women can hold their own, the guests and hosts agree: the biggest critics of women news anchors are often actually older women. A recent article by the New York Times identifies a difference between the coverage of men and women on the campaign trail are getting. Often, a woman is described as being either too young or too old to run for office, with no "perfect age". The Dames think the cards are stacked against women who enter the politicals, especially at the presidential level.